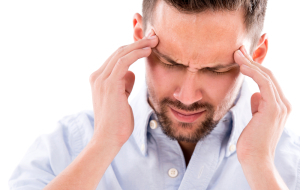 Did you know that headache relief is often an important focus for many patients’ dental treatment? In addition to a number of other symptoms, headaches are often a prominent indication of a dental health issue—namely, TMJ disorder—and their intensity depends on the severity of your condition. Fortunately, when it isn’t too severe, you can typically relieve a headache with a few tips that you can practice at home, as necessary. However, if your headaches persist, we strongly advise seeking a professional assessment at treatment at your dentist’s office as soon as possible. If your headache is brought on by a lack of sleep, or just excessive stress after a tiring day, then getting some rest can help you relax, recharge your batteries, and relieve the stress and anxiety that’s making your head hurt. Find a quiet place to take a nap for 30 minutes to an hour if you feel a headache coming on. Stress can often manifest as physical tension in your muscles, particularly your jaw muscles. If a tense jaw is contributing to your headache, use a heating pad to relax the tension. A cold compress or ice pack can also help relieve the pain of your headache, as well as the pain in your jaw. TMJ disorder describes when your jaw’s joints and muscles have been exposed to so much pressure that they’ve become damaged, inflamed, misaligned, etc. Headaches are among TMJ disorder’s most common symptoms, and teeth-grinding is among its most common causes. If you catch yourself grinding your teeth, try to stop, or wear a mouthguard to protect your teeth from grinding while you sleep, to reduce instances of related headaches.